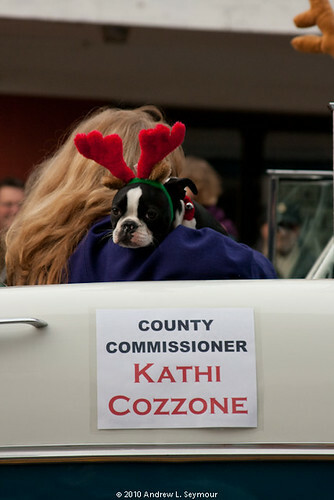 Some images taken during the 2012 Downingtown Good Neighbor Christmas Parade in Chester County PA. The weather was overcast, but the temperatures were in the 50s and the start of the parade, not nearly as cold as last year. Did not seem as there were as many people as there had been in the past, but that could have been because of the potential bad weather. 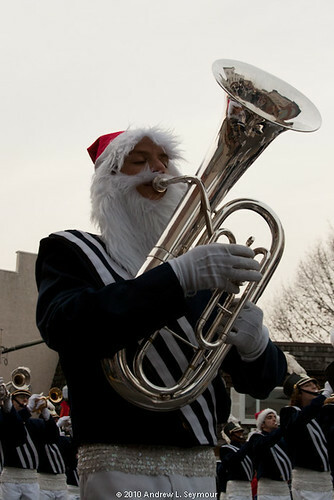 More images of this years parade can be found on my Flickr photostream. 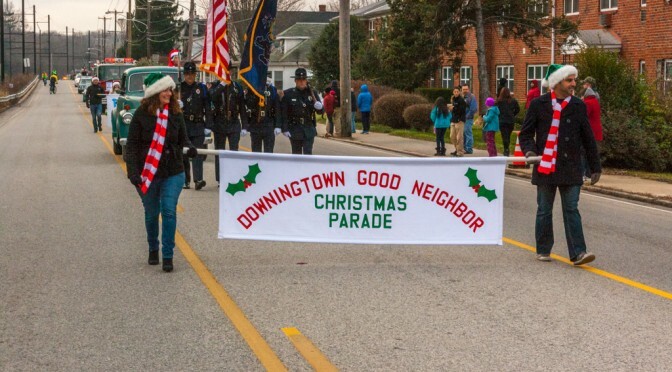 Yesterday was the annual Downingtown Good Neighbor Christmas Parade, which was held on a beautiful Saturday with the temperatures in the mid to lower 40s. This year was the first time in three years, that I did not have my kids with me. 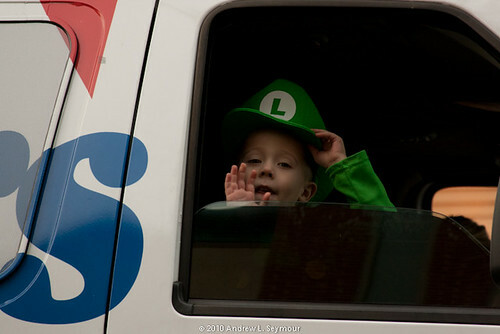 This allowed me to wonder around the parade as it happen, offering many more opportunities to find and capture scenes as they happened. This years parade seemed much bigger, and from what I understand, there were around 400+ Daisies, Brownies and Girl Scouts this year alone! Needless to say, I took many pictures, and was up until 4am this morning processing those images which can be found on Flickr! I hope you enjoy them, and would love to hear your thoughts and comments! 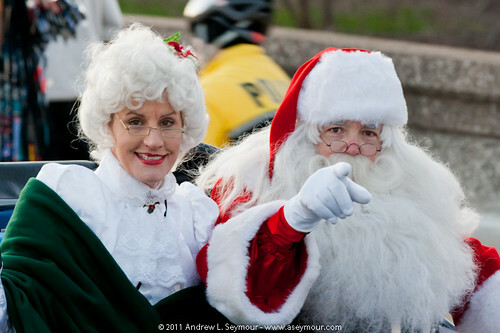 Official DTown Christmas Parade pictures! 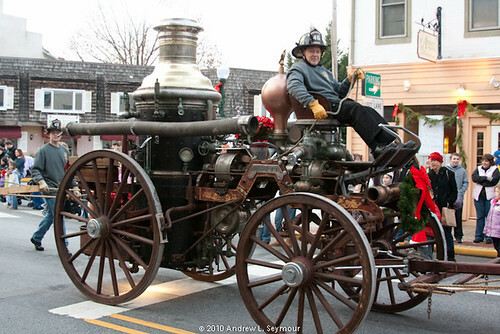 Earlier this morning, I got a delightful e-mail from a woman who works for the Downingtown Borough, and she was asking for permission to use some of my photos from the 2010 Christmas parade! Needless to say, I was more than willing to help in this endeavor! 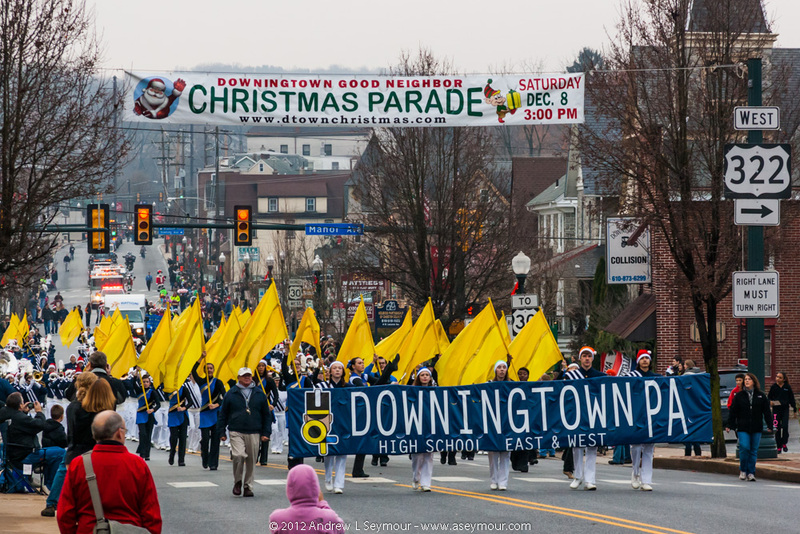 So within the next days and weeks, keep an eye out for my work, on the Downingtown Christmas Parade website, and an advertisement in “The Daily Local“! 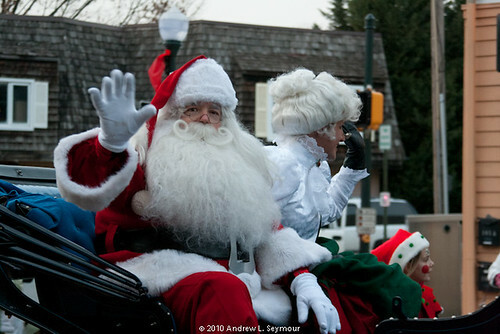 11/9/2011 – If you check out, the official Downingtown Christmas Parade website, and click on “Photo Gallery”, it will take you to a direct link on Flickriver.com collection! 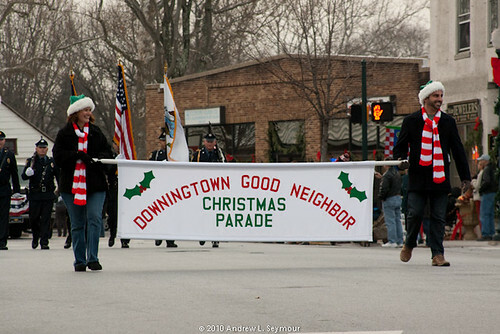 Yesterday was the Annual Downingtown Good Neighbor Christmas Parade, and once again, it appeared to be a big success! We headed downtown around 2:15pm, with the thought of trying to avoid the hassle of trying to find parking, and to get a good viewing spot. As we got closer, there did not appear to be much of a crowd, which made parking a breeze. We walked from our spot at the Downing Center lot, and headed over to the center of town. As we arrived, there were some people already there, with unfolded chairs and blankets, but not as many as I would have expected with the parade starting so soon. 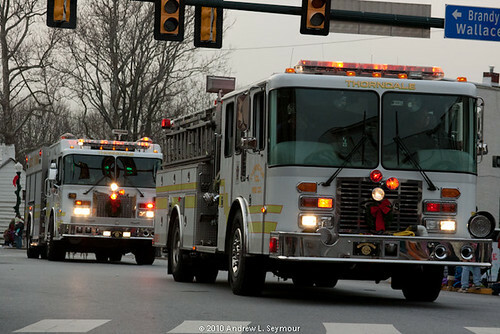 We decided to walk around, and ended by stopping into the Minquas Fire House, where the Christmas Committee was hosting an Open House with Cookies and Hot Drinks. After a few minutes of warming up inside, and some cookies, we talked back down town, and eventually staked our claim in a little spot near the Rt. 322 intersection, almost the same spot as last year. As we waited and watched, we noticed a group of parents and kids gathering to the right of us, in front of the Coffee Cup, getting ready to perform. They started a little after 3pm, after they introduced themselves as “The Touch of Class Dance Studio“. As the instructors started to move the littlest members onto the street and into position, things started to get a little strange. To the left of us, you could see that the police had already stopped the Rt. 322 traffic from turning on to the main parade route, but several Township vehicles and Police cars were still driving up and down Rt. 30. At one point, a fast moving township pickup truck seemed as if it was going to run right into the little performers sitting in the street! Needless to say, the spectators were getting a little agitated with what they were seeing, causing one parent from across to street to yell out: “Guess they did not get the memo!”. 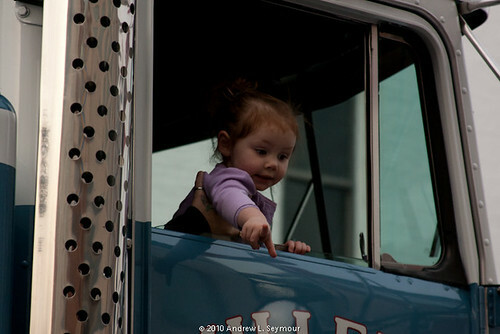 The little dancers were easily cleared from the street without problems, and one of the adults from the Studio, did walk down the street, and confront an Official to confirm that it was okay to continue, and she was assured that is was. Several minutes later, another unmarked gray police car drove back down the street, causing the kids to once again to scamper of the street, sparking an even more satirical comment “One more time!” from the same parent as earlier. Finally, the Studio was able to continue without incident, and thrilled the crowd with their various dance routines. On several occasions, with the music playing and the dancers jumping and spinning, children from the crowd entered the street and joined the performing Dancers. As the performances continued, proud parents and children moved to the street to get a better view of the action, including one child, who seemed to just want to take a nap! 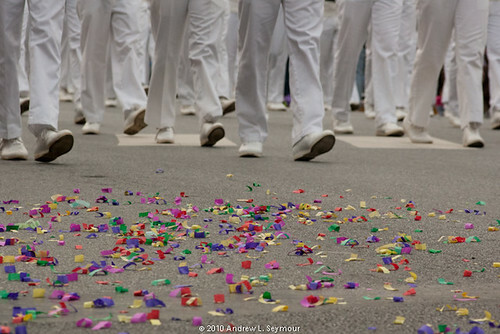 After about 30 minutes, the whole Troop gathered on the street to finish their performance. Now it was time for the Main Event! and the array of colors! or the First Family of the Holiday’s, that help to bring it all together!